2) Specialist tech tools are blind to other data sources making them less valuable to the restaurateur. It is for these reasons that technology tools are beginning to work together. Integrations allow suppliers to share data and therefore provide more powerful insights. Furthermore, this also provides a more easily manageable technology infrastructure allowing smoother transitions between the tools for the managers. We understand there is a vast number of solutions available on the market (see Figure 1), so in this article, we endeavour to breakdown some of the main categories as well as a few example solutions in each. The Point of Sale (POS) is a tool allowing restaurants to record transactions in the simplest way possible and to gather them in one place. It has evolved from being crank-operated cash registers to simple tablets. POS’s have also evolved towards being an analytics tool when used with APIs, which allow connections with other software products such as business intelligence, inventory or employee management tools. Lightspeed is very adaptable to your restaurant with a customisable menu and real-time updatable floor plans. It also allows you to gather your integrations, your staff and your loyalty programs. Specially designed for the hospitality industry, Tevalis has always managed to meet the demanding and constantly evolving requirements of people working in the industry. With a client focused approach, Tevalis offers you a tailored solution to your business needs. These tools help to schedule employees hours depending on their availability (shifts/holidays), their skills, and in compliance with the law. The staff schedule can be published for employees to see their shifts in advance. The tools enable businesses to track and organise their workforce in real-time. Planday makes communication with and between employees easier, provides a business overview of staff activity and lets managers choose how much autonomy their employees should have to schedule their own hours. Bonus feature: you can get all of this available on mobile. Deputy helps you manage the unique complexity of your workforce by giving you the best shift structure for your business and picking the best employees for each shift. With a mobile first approach, Deputy is a user-friendly end to end workforce management app and is easily integrated with other HR software. These tools ease the process of paying vendors, they provide cost insights on food and beverage supplies and they also cut down bookkeeping costs through automation. A Cloud-based inventory software, easing collaboration between suppliers and buyers. It helps you to keep a close watch on all your back-office operations, supplying processes and your purchasing history. It allows you to have real-time updates and information about exchanges between suppliers and customers. Kitchen Cut's main focus is to bring innovation and automation to the kitchen while remaining very simple to use and entirely scalable as your business grows. The real-time alerts and notifications give you actionable insights into your business. These tools typically centralise the software to help businesses run more efficiently. The data drawn from the POS and Staff Scheduling provides sales analytics, sales forecasting and measures staff performance. An advantage of these tools includes overlaying the data to provide quick and novel insights such as measuring the cost of labour as a percentage of sales at any given time. The data drawn from social media platforms can also be collated to give you easy access to reviews, trend analysis and detailed metrics. Real-time push alerts are also available to help determine review trends/statistics. Tenzo gives you actionable and relevant insights on your hospitality business, outlining where and how you could save time and money on your business. Tenzo manages this by integrating with many POS, Staff Schedulers, Inventory and Social Review platforms. Furthermore, Tenzo provides highly accurate sales forecasting thanks to its proprietary machine learning algorithms. Created to help consumers find restaurants, pubs, cafes, bars, hotels and all kinds of hospitality establishments. These establishments can be broken down by location, food type, atmosphere and ratings. It also allows the user to rate and write reviews on the places you’ve been depending on your experience there. This feedback is valuable both for restaurants and customers: restaurants get to know how to improve their service, food, necessary repairs and future customers can get a feel before actually visiting the location. These tools help restaurants track how the dining space is used in order to optimize as well as predict how long new customers will be waiting. They also help customers to reserve tables online in order to avoid waiting. The aim is to eventually maximise the capacity of restaurants, optimise revenues, extend venue reach and make reservations as easy as possible. OpenTable helps find the perfect place to book a meal: it takes into account your location, the price range you want to pay for your meal, the type of cuisine, the reputation of the restaurants, discounts, ratings, free slots for a reservation and the seating options. Once you’ve chosen your restaurant, the reservation process is centralized on the website which makes it easier and faster. These tools allow customers to send vouchers or reach loyalty thresholds based on purchasing history, earning them discounts or free meals etc. These kinds of software enhance relationships by simplifying and rewarding consumer interactions. management, ticketing, web and app booking, CRM, POS integration and more. These tools aim is to get any meal delivered to your door. 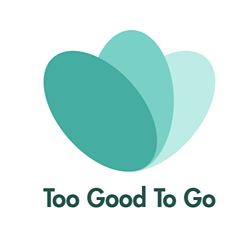 They present consumers various restaurant options in their vicinity and sends delivery men to collect and deliver the order to their doorstep for a small delivery fee. Another feature of these apps is to have meals/snacks delivered and served routinely to offices. The company delivers tailored menus and snacks depending on a budget you predefine. They can also be used to help you cover events catering. 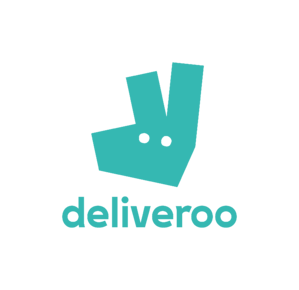 Deliveroo partners with more than 17,000 restaurants to deliver food to your doorstep. All you have to do is enter your postcode and the app or website will find you the restaurants nearby and your food will be delivered. You can filter your search (by type of cuisine, restaurant but also by different categories such as “guilty pleasures”, “desserts”, “healthy food” and many others) to find the exact food you want. City Pantry is designed to deliver a menu tailored for you and your work team as regularly as you wish. Your order is personalized depending on your preferences, events, budget per person, dietary concerns or types of cuisine. Payment software allows you to pay wherever and whenever you wish and easily register all your bills. A few tech companies also sell cheap, easy-to-use hardware to allow smaller restaurants to take credit card payments. Square makes it very easy, fast and cheap for you to accept the different means of payment from your customers (chips, contactless etc). You can accept payment from any means e.g. by phone, in person, by invoice or online. The free app offered by square makes the product very intuitive and easy to use and gives you insights on your business as well as the ability to see reports in real-time. 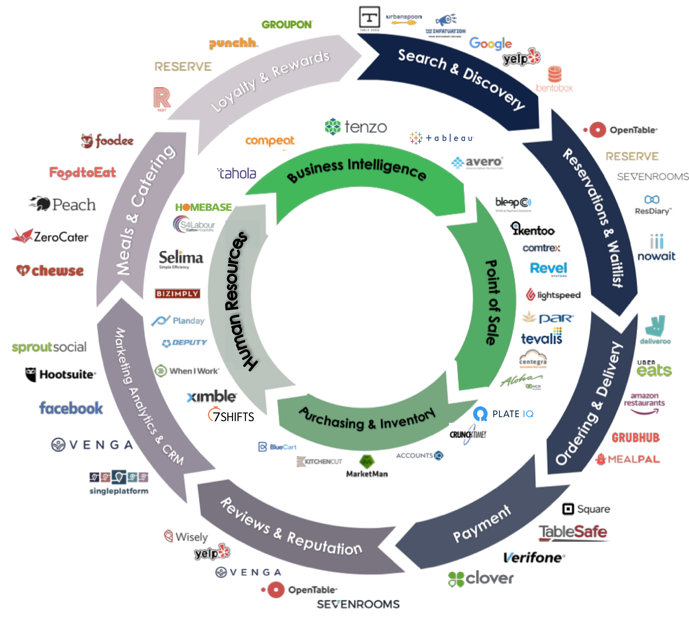 These tools help manage social and marketing data by tracking restaurant reviews, centralising customer data and automating marketing campaigns. Toast’s CRM system can integrate with your point of sale system, allowing you to easily gather crucial information about your customers. If customers sign up for a loyalty programme, Toast will use this information to create a personalised profile for each customer where managers can view their purchasing habits and history. Using this information, you can create customised marketing messages and promotions for that customer to encourage them to visit your restaurant again. Food waste tech tools allow restaurants to solve one of the big issues in the catering industry - managing food waste. Different solutions are being offered to cut waste such as selling leftovers at lower prices to customers; more accurate demand forecasting/inventory management and; quantitatively recording food waste to build reports and allow further transparency of wastage. Winnow allows the kitchen staff to identify everything they throw away, all the waste is weighed and costs estimated. The cloud then analyzes the quotidian waste to give chefs key metrics and reports to help them cut future food waste. A simple-to-use app where restaurants register any leftovers for the day which are then displayed to the public. Consumers can then pick up the food at a lower price thus avoiding food waste. These tools are designed to quickly and efficiently train people working in the catering/hospitality industry. The tools help keep staff up to date in a fast-evolving field as well as help keep training costs low when staff turnover is high. At Tenzo, we understand that choosing the technology tools that best suit your business is not easy. As Tenzo is uniquely positioned between a range of solutions, we feel qualified to work with you to identify the best infrastructural fit. So please don't hesitate to reach out if you have any questions or are looking for advice.